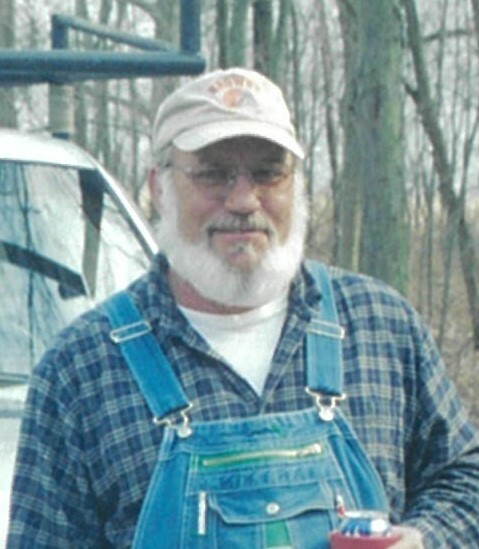 Earl J. Evert, 66, of Bellevue passed away Tuesday, March 26, 2019 at the Stein Hospice Care Center, Sandusky. He was born July 24, 1952 in Bellevue, Ohio the son of Richard P. and Maeola A. (Gerten) Evert. Earl served in the United States Army from 1971-1973. He worked as a contractor and was an excellent carpenter. He was a member of the VFW Post 1238, Eagles Aerie 490, and the Bellevue Moose Lodge 238. He is survived by his wife, Gail Evert whom he married May 26, 2001 in Bellevue; Daughters: Heather (Heath) Schneiter of New London, Mary (Jim) Harakal of Norwalk, Tera (Paul) Perry of Florida, and Lisa Pennick of Chicago; 14 grandchildren; 9 great grandchildren; and brothers, Steve (Geri) Evert of Bellevue and Carl (Carrie) Evert of Salem. In addition to his parents, Earl is preceded in death by his son, Eric Evert; brothers, Phil and David Evert; and sister, Helen Guenther. Friends will be received on Sunday, March 31, 2019 from 1 p.m. until a memorial service with military honors begins at 3 p.m. at Foos & Foos Funeral Service, 151 Yorkshire Place, Bellevue.